This parcel, now home to Burlington Coat Factory and MicroCenter, was part of Collins second addition to St. Louis Park, platted in 1892 as part of T.B. Walker’s original plat of the Village. Today it consists of blocks 2, 3, 6, 7, and 8. It lay vacant for many years, often used as a ball field. One of the first uses came in 1946 when Quonset huts were moved in for Veterans Housing. That same year, Lots 1 and 2 of block 6 were sold to the Village by Albert and Rosa Mae Harper. In 1956 Percy Ross requested a permit to build an auction house at 36th and Highway 100, but the plan never materialized. Ross often requested permission to hold auctions of heavy equipment on the site. In the 1950s and ‘60s the land was often used for carnivals held by the VFW, etc. In June 1952 the Village leased it to “Happy Acres” Kiddie Rides. In 1959, the 11th Annual VFW Jamboree was held on May 22-27. In 1956 the land was conveyed to the State/county. The Veteran’s housing structures had been removed by 1960, when the City purchased the 10-acre site from Hennepin County. The City Planning Department proposed that it be used for a Civic Center, featuring an open fountain surrounded by public buildings such as the City Hall, Library, and a Municipal Auditorium. In the fall of 1963 Interstate opened a Topps Discount City store at the site, which had by then reverted to ballfields and skating rinks. The company owned and operated 61 downtown stores and discount houses throughout the country. An April 1963 ad used the slogans “Profits in Pennies” and “America’s Discount Leader.” The donut shop made donuts in-house. A National Food Supermarket opened next to Topps in the spring of 1964, but closed on July 24, 1965. Topps itself went bankrupt – an ad said “We Lost Our Lease – Going Out of Business Sale.” Last day to shop: August 29, 1965. Some remember there was a problem with rats at the store, perhaps because of the dump nearby. There is quite an extensive web site devoted to Topps. 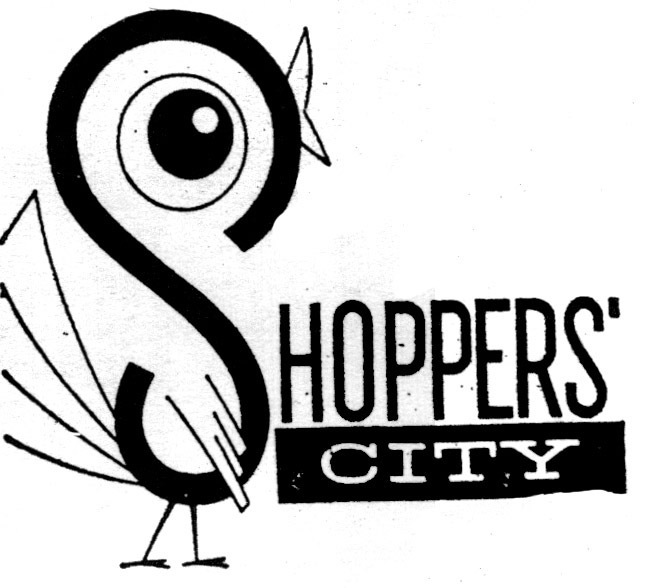 On November 15, 1965, a Shoppers’ City store opened at the site. 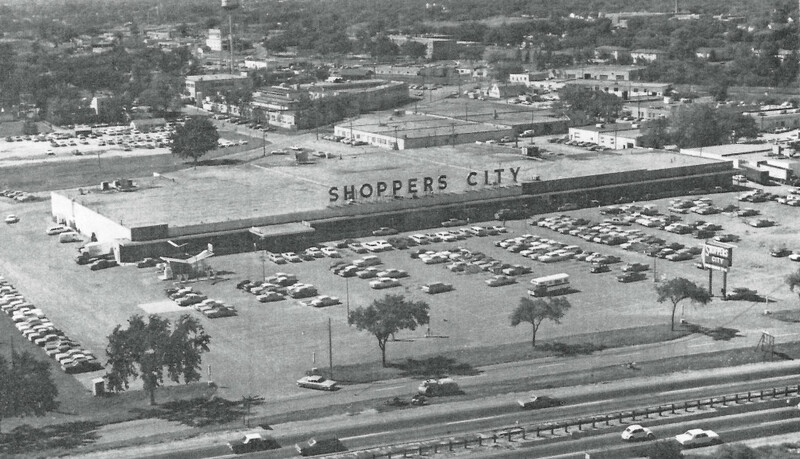 Shoppers’ City was a local chain started in 1959, and as early as 1963 had stores in Minneapolis (63rd Ave. No. and Hwy.152 (Osseo Rd. ); St. Paul (between Larpenteur and No. St. Paul Rd.) and Duluth. [A 1966 ad says Brooklyn Center, Maplewood, SLP, and Duluth.] 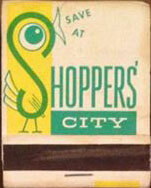 Mel Roth was listed as the owner (Shoppers’ City Four) and Frank Anslow was the first store manager. A teaser billboard announcing the store started with just the bird’s eye, then the S, then eventually the name of the store. The store featured a department store, grocery store, bakery, barber shop, beauty salon, optical shop, auto repair, gas station, dry cleaning, shoe repair, tire store, garden store, and a furniture and appliance department on the mezzanine, at one time run by the Furniture Barn. The pet shop was (in) famous for having at least one baby chimp for sale. Al Hartman thinks the price was around $1,500. “A girl who worked there would carry it around the store on Saturday or Sunday mornings and probably during the rest of the week. It must have sold as it was not there too long. He could still be around, hopefully in a better place. I say he because gender was apparent at times.” The poor monkey wasn’t too happy; one small shopper remembered: “The monkey threw poop and peed on people. I got showered as a kid, was supposed to be in toy dept wandered into the pet store and got peed on.” Another got her hair pulled. Once upon a time it was illegal for stores to open on Sunday. On July 1, 1967, the law changed, allowing stores to open but banning a list of certain products. 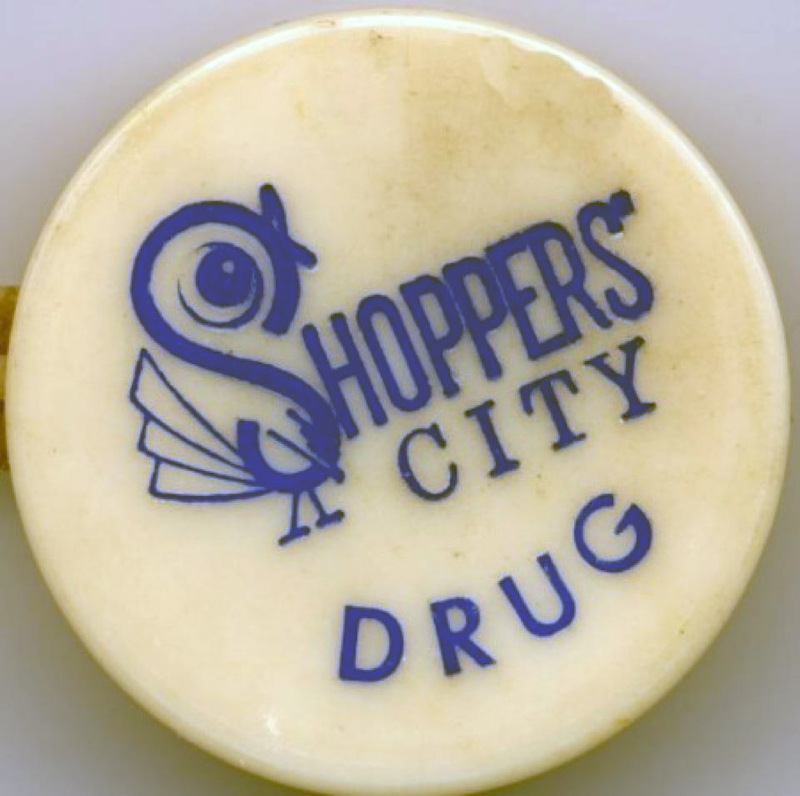 Rumors flew that Shoppers’ City was planning to test the law by selling the proscribed items. On the first Sunday in July the store opened but complied with the law. Speculation ran wild, wondering whether Red Owl, National, and Penny’s would follow suit. Seymour Rothstein, Executive Vice President of Shoppers’ City, stated that most of their Sunday customers at their Brooklyn Center store were rural shoppers. The Chamber of Commerce was absolutely against stores opening on Sundays. The folks at Aldersgate Church next door objected to the store being open on Sunday, saying it would interfere with churchgoers. This so-called “blue law” would eventually be phased out. 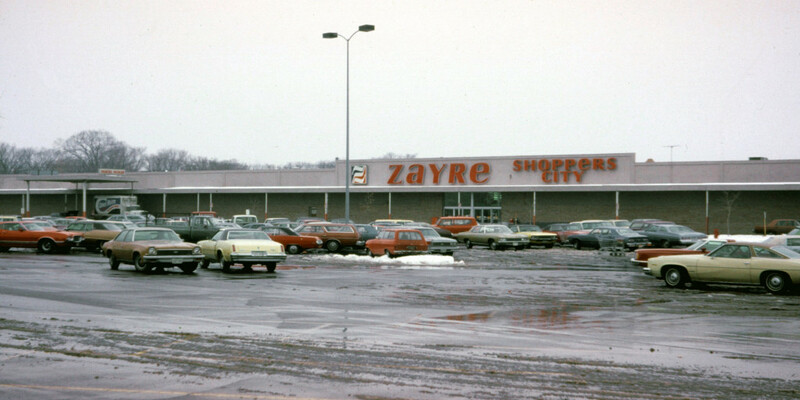 In March 1967 the store was bought out by the Zayre chain, based in Framingham, Massachusetts. 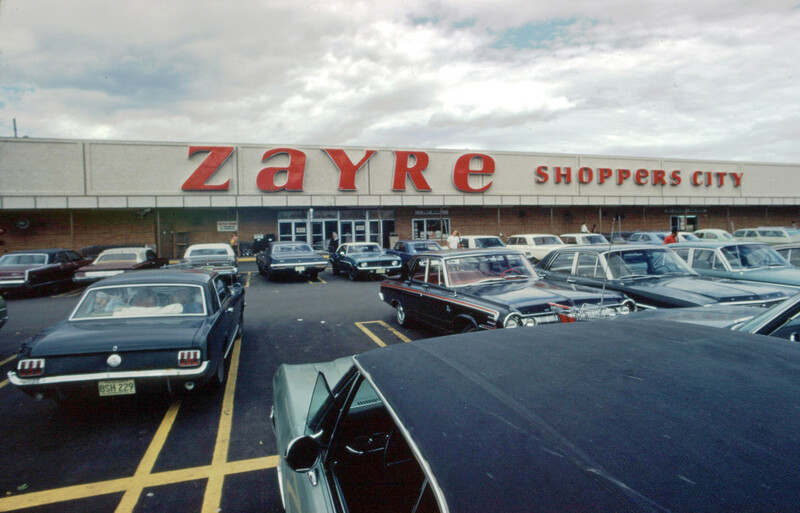 The word Zayre was derived from the Jewish phrase “Zehr gut,” or “very good.” This meant renovation of existing stores and the building of new stores. Inspection records of the St. Louis Park store show some major problems with the building. On May 7, 1971, the electrical inspector found the electrical maintenance within this building “absolutely appalling.” “We have been fooling around with the same violations for the last 12 months.” His letter cited 38 separate violations. One particular sore point were the bathrooms, which were right inside the door. The City insisted that they be moved within the store so they could be better supervised. In 1972 architects were hired to remodel, but with enough parking an issue, it took til the next year for the City Council to approve the plan. 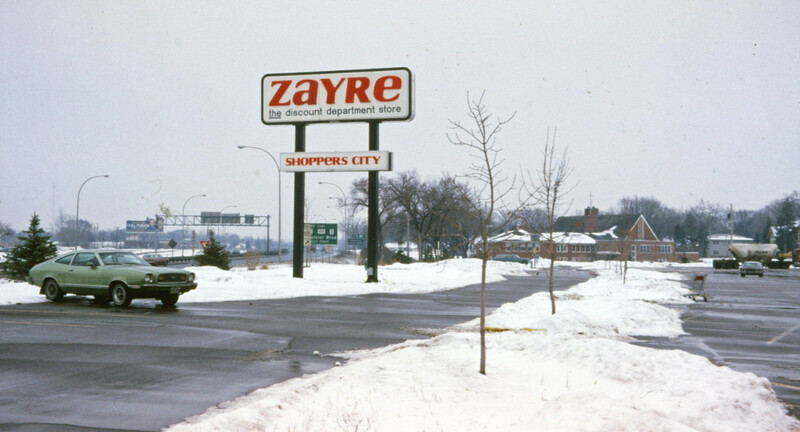 The St. Louis Park store didn’t use the Zayre name right away. 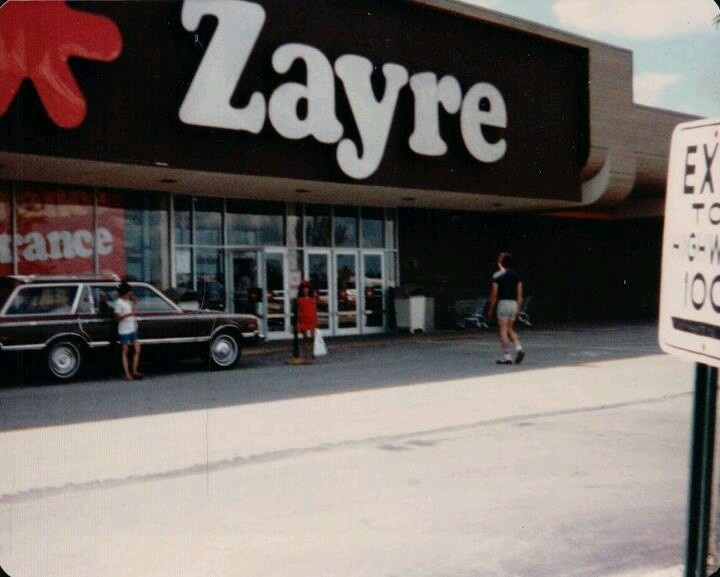 The St. Louis Park store struggled along until the end of 1979. 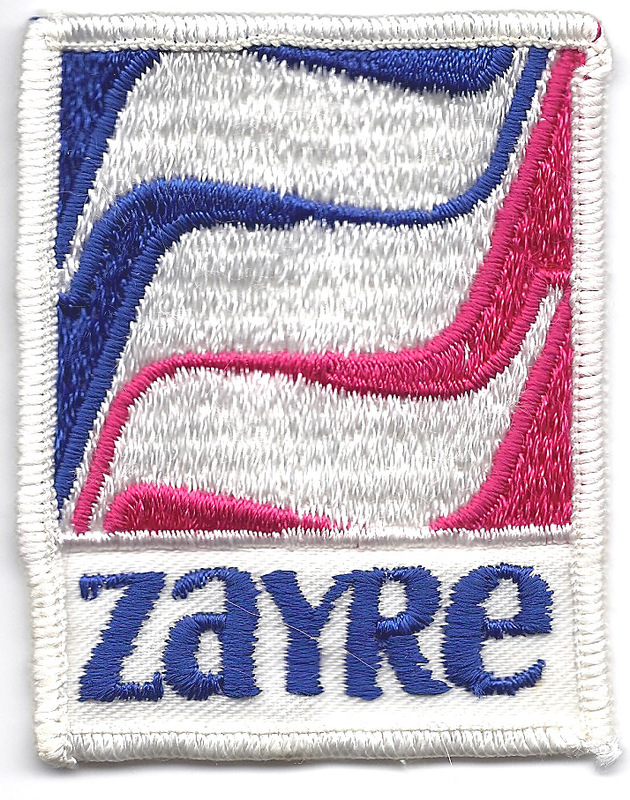 The Zayre Corp. was later bought by Ames in 1988 and thereafter went bankrupt amid accusations of fraudulent business practices. Below is a photo that was probably taken towards the end of its life. The sign pointing to Highway 100 indicates that it is most likely to be our store. Next, Kmart took over the store in January 1980, and opened for business on Sunday, May 17, 1981. They rented the building from Peninsula Industries in California. There was a fire at the building on March 14, 1982, and the store closed on December 31, 1983. One document indicates that Kmart had to dig up the abandoned gas tanks left by Shoppers’ City. Kmart was created in 1899 as Kresge’s or The S.S. Kresge Company. In 1962 it was renamed Kmart. From May 18, 1981 to 1985, Red Owl ran a Country Store in the south end of the building. The store was on the cutting edge of the new concept of no-frills marketing, where customers bag their own groceries, and – at least at first – filled their own egg cartons. Mead Stone was the manager in 1981. When the store opened there were 15 Country Stores in the Twin Cities. Burlington Coat Factory took over the store in 1984, still renting from Peninsula Industries. In March 1990, Jim Almsted converted the south end of the building to Almstead’s New Market. It was still there in 1998. MicroCenter was founded in Columbus, Ohio in 1979 by two former Radio Shack employees. It now occupies the south end of the building.